In a manual template, you can ‘bundle’ every decision you make on the style with which you want to present yourself to the outside world. We are talking color use here, type of fonts, character sizes and so on. A manual template leads to a consistent layout and a recognizable ‘look and feel’, both on paper and online. 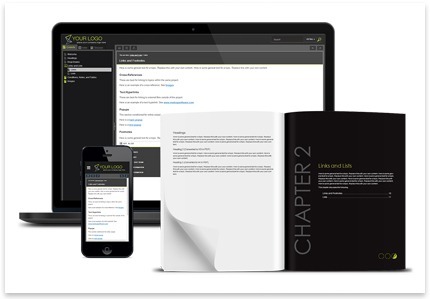 Your template can also be used to present a table of contents for each chapter or webpage. Needless to say that a template creates consistency when publishing multiple manuals in multiple languages. 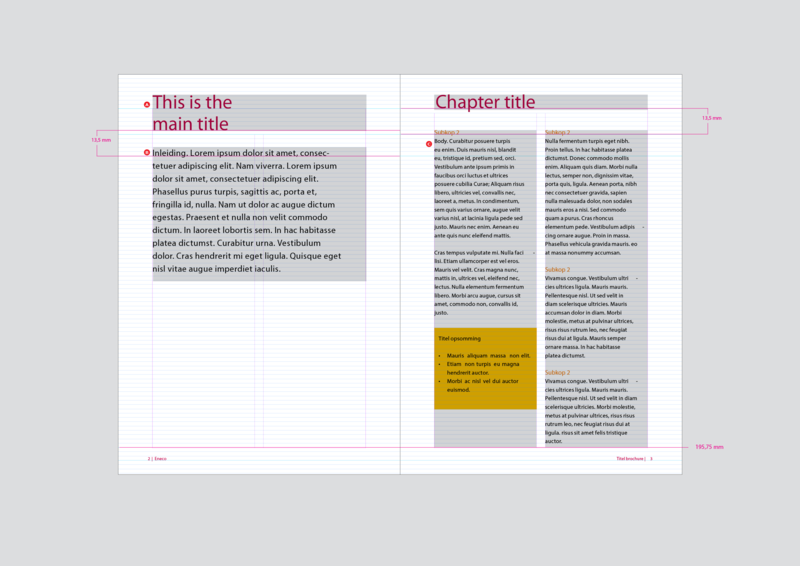 A manual template basically contains a specific style, a specific ‘look and feel’. It means that you decide which colors, which fonts, which page layout and which character sizes you prefer to use. The magic words here are: attractiveness and consistency. Manualise is an expert in writing texts, but is first and foremost specialized in visual presentation. That’s why we also are experts in creating the right manual template for you. Take the character size. Elderly people prefer at least size 11 or 12. The European directive IC 82079-1 states you should at least use character size 10. In case of specific warnings, each character should at least be 4 mm high. We take these kinds of restrictions into account without you even noticing. Using bold or italics? A great idea, but only if you use such features with caution and consistently (“Press the Start button”, “Press the Stop button”). You do not want to use bold characters after every other sentence, simply because it will lose its function when used too often. What do you find in a template? the text itself in every section. First and foremost, one should decide on the format: would A5 be better than A4? A5 might come in handy, literally. An A4 format, however, gives you more space for detailed illustrations. When you use a manual template for your webpages, a so-called ‘skin’, such a template should support responsive design technology. This means that your template should facilitate every kind of online presence. Your online pages should not only look OK on a laptop, but also on a smartphone or tablet. Basically, there are three kinds of software applications with which to define a template. Nowadays, ‘regular’ word processors such as Microsoft Word, are so advanced that they include all kinds of layout features, importing images being the most basic one. A big plus for word processors such as MS Word is that a lot of people are familiar with them. Also a big plus: the writing itself and the creation of a layout can be done simultaneously, especially if a template is used. DTP software, such as Adobe InDesign, is a professional tool for use in the print industry. Such software is popular for creating magazines, newspapers and the like. It can, however, also be used for creating very professional books or… manuals. Such manuals are ready to be printed after your finishing touch on the computer screen. This is called the What You See Is What You Get principle (the so-called ‘WYSIWIG’ principle). Content management software, such as MadCap Flare, is as advanced as is DTP software when it comes to creating a professional layout. However, content management systems derive their strength from something else: storing content on a central location, making reuse a breeze. Content can be used and reused indefinitely, whether in manual A or manual B or website X or on smartphone Y. Write once, use more than once: that is the purpose of a CMS specially meant for technical documentation. MadCap Flare is such a CMS. Manualise is offical reseller of MadCap products. We can help you creating any template you would like. We can bring together structure, style and… content. Of course, we take all European regulations into account, or any national regulation for that matter. We can save manual templates in any format you like, meaning that you can adjust your template yourself. Since we indeed know our way around in any relevant software application, we can also do the job for you. Maybe this would suit you most if you want to publish multiple manuals in multiple languages. It is here where specific templates prove to be very useful. Would you like to know more on how to create templates?